Every so often in WWE, there is a rivalry between two Superstars that blurs the lines between fiction and reality. In recent years, it's become well-known that Dean Ambrose doesn't have much time for Brock Lesnar after he was "met with laziness" by his opponent when attempting to discuss plans for their match at WrestleMania 32, while the off-screen battles between Shawn Michaels and Bret Hart have become the stuff of legend. But did you know that Hart has been locked in a war of words with another prominent wrestling personality from the 90s over the last 12 months? And have you heard about the popular 2013-2017 tag team who haven’t spoken in almost a year? Well, with so many real-life feuds being discussed in out-of-character interviews in recent months, we decided to round up the best of them and take a look at five legitimate WWE rivalries that you might not know about. Chris Jericho was still trying to make a name for himself in the wrestling business during his time in WCW between 1996 and 1999. At the same time, Scott Hall was on the roster as a member of the NWO and he had firmly established himself as one of the most recognisable guys in the industry. 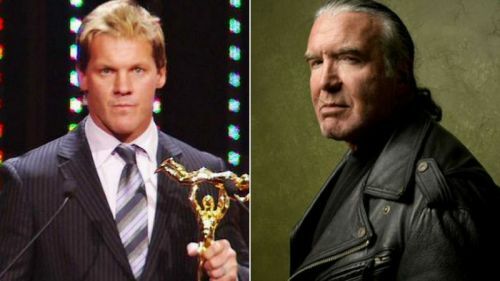 Speaking recently on a WCW-themed episode of his Talk Is Jericho podcast, Y2J revealed that “to this day, there is no love lost” between himself and Hall, who made several derogatory remarks towards Jericho during their WCW days.